I've been itching to have a play with the 'Scenic Landscape' dies from Polkadoodles for a long time - sadly now sold out in the Polkadoodles shop - and thought I begin by using them simply to create a landscape. 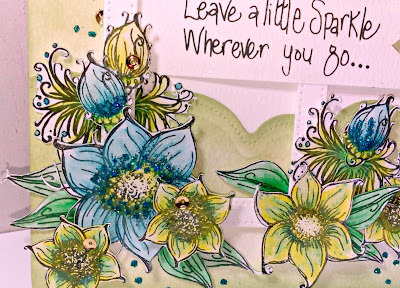 I used the Summertime Stamp Me Clear stamp set to create all the flower blooms to decorate the inked landscape. 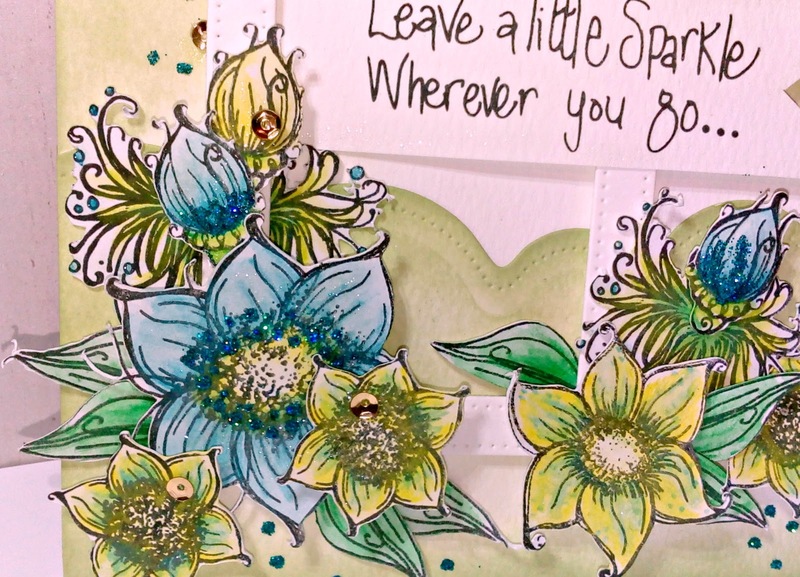 All the flowers were stamped with Black Shadow Nuvo Hybrid ink on to watercolour card and then coloured with Nuvo Watercolour pencils, finished either with glitter or confetti in the flower centres. 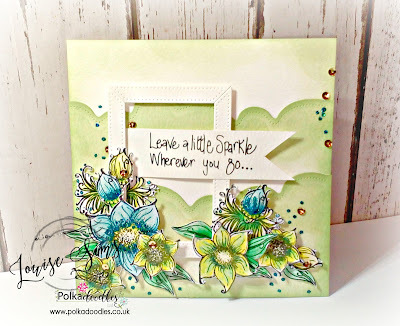 I stamped lots of different sized flowers and for me, have gone with a completely different colour scheme. 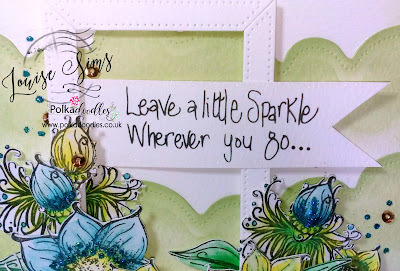 The flowers have been mounted on a frame cut using the 'Fabulous Mitred Things' dies, (sadly again sold out in the Polkadoodles shop), and finished off with a sentiment. As you can see, I've layered all the flowers to be on top of the frame or peeking out from the frame. 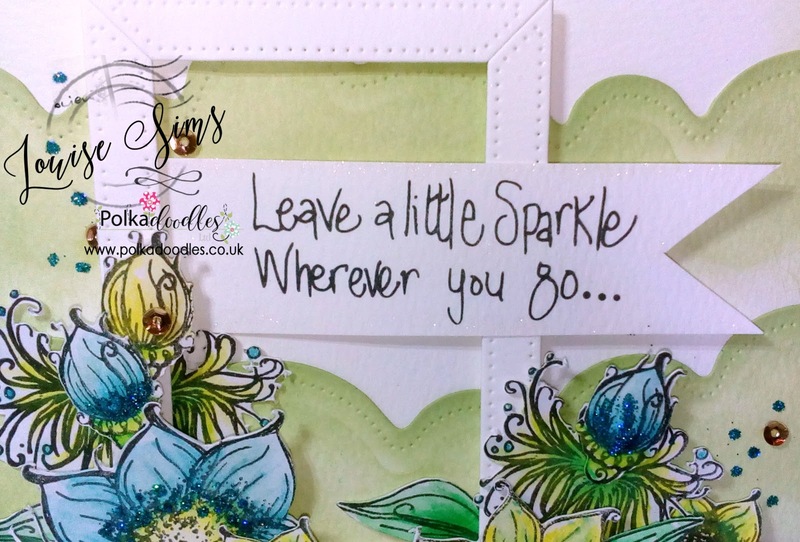 The sentiment is an old Polkadoodles clear stamp which I still think is a wonderful sentiment and do use it whenever I can - it can be used for so many different occasions which is probably why it's one of my favourite 'go to' sentiments. Weather a little cloudy, but still warm, here in Ireland, however wouldn't mind the sun visiting again but not on full furnace mode. 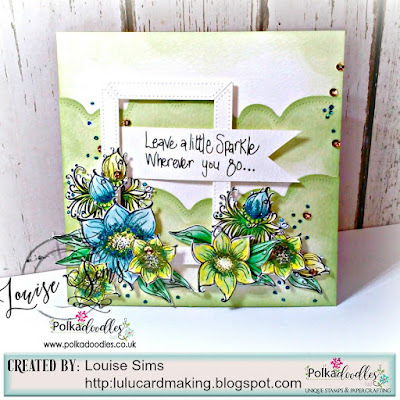 I love the design of your card, and the beautyful flowers ofcourse. 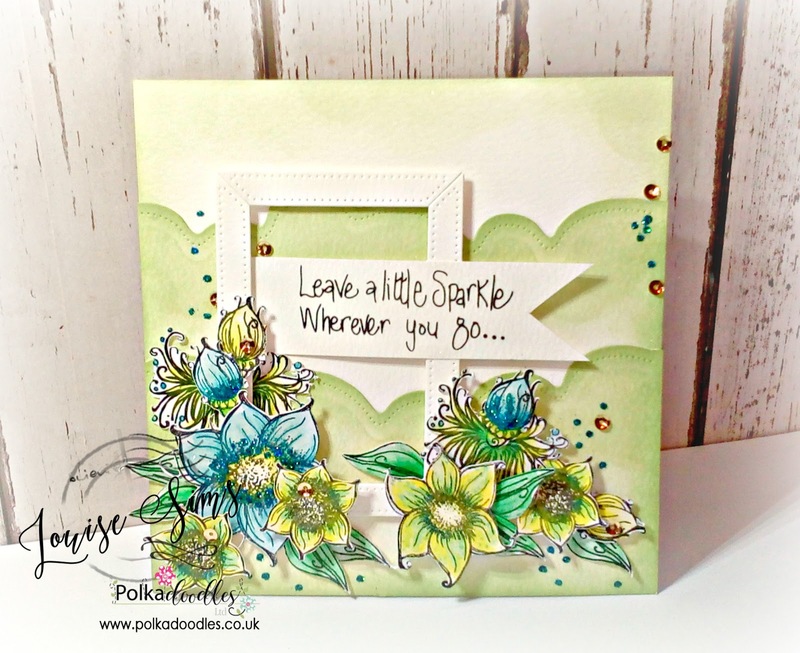 Thank you for sharing your floral splendor at our challenge. I hope you will join us again soon. 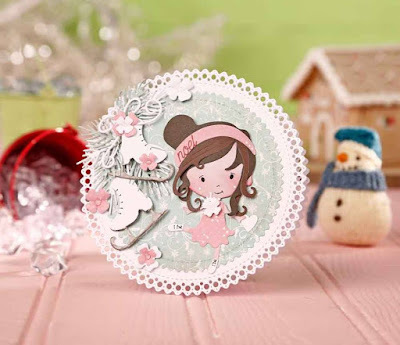 Your stamping and coloring are amazing! Thanks for joining us at Use Your Stuff.